Administration Stands Firm On Birth Control Coverage : Shots - Health News Final rules requiring insurance plans to cover prescription contraceptives will give religious-based hospitals and other organizations whose primary purpose is not religious an extra year to come into compliance. But the requirement remains, despite vigorous objections from some groups. The final version of the rules will give religious-based hospitals, universities, charities, and other organizations whose primary purpose is not religious, an additional year to come into compliance with the contraceptive requirement. Churches are exempt. But even a face-to-face meeting in the Oval Office last November between President Obama and the head of the U.S. Conference of Catholic Bishops failed to change the administration's position to allow a broader exemption. "This decision was made after very careful consideration, including the important concerns some have raised about religious liberty," Health and Human Services Secretary Kathleen Sebelius said in a statement. "I believe this proposal strikes the appropriate balance between respecting religious freedom and increasing access to important preventive services." That is not, however, how the U.S. Conference of Catholic Bishops sees it. 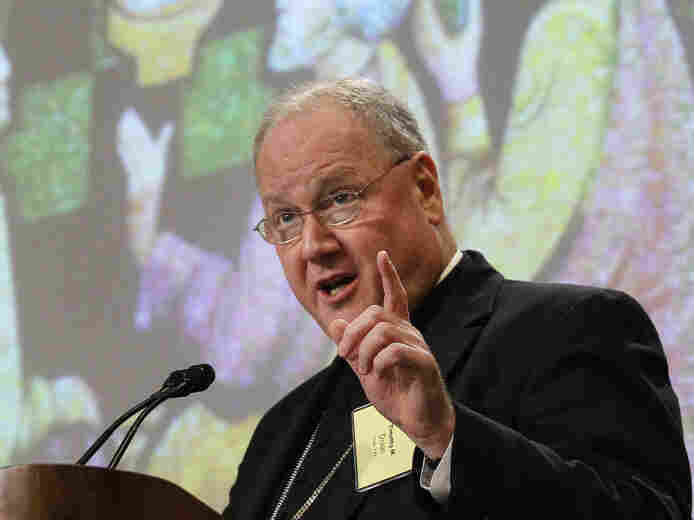 "To force American citizens to choose between violating their consciences and forgoing their healthcare is literally unconscionable," said the group's president, Archbishop Timothy Dolan of New York, in a statement. "It is as much an attack on access to health care as on religious freedom." And the additional year? "In effect, the president is saying we have a year to figure out how to violate our consciences," Dolan said. But while the bishops — and many of the Republican presidential candidates — have accused the Obama administation of waging a war on religion, women's groups are hailing the decision. "This is a health care issue," said Cecile Richards, president of Planned Parenthood. "It was based on what's good for women's health." Richards also pointed out that, despite the bishops' claims, many religious organizations currently offer birth control as a covered health benefit. "It hasn't been an issue before," she said. The decision has broad ramifications. "Virtually all women from all religious backgrounds use contraception at some point in their lives to protect their health and plan their families and their lives," said Laura W. Murphy, director of the American Civil Liberties Union's legislative office in Washington. "With today's action, the administration refused to give religious employers the right to discriminate." But while the rules are now final, the bishops say the fight is not over. They are vowing to fight, in court if necessary, to have the administration's decision overturned.